Fish keeping in captivity is an age-old practice. Chinese used a variety of containers for the purpose such as dishes, bowls and small tanks that permitted viewing from the top. Vivaria were used by Romans to advertise fresh food fishes in restaurants that were kept alive for use or for sale. Later on, vivaria modified in to Aquaria. First public aquaria were established in London and Paris in 19 th century. 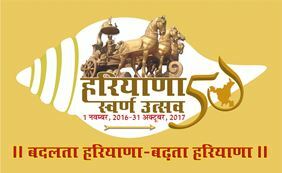 In India first public Aquaria "Taraporewala" was established in the mid of 20 th century. Now the aquaria has entered in houses, schools, tourist places and laboratories, offices, markets, colonies for amusement, education serving as advertisement for fresh food fishes and aquatic animals/plants. Today, culture of ornamental fish for aquarium is a rewarding industry and fish keeping indoors is a more popular hobby. Now a days concept of urban Aquaculture in towns is becoming popular. Small pool or tank in open space with ornamental fish and blanded with aquatic plants and natural stone becomes more attractive. An aquarium unlike large water bodies is highly unstable with regard to environment for fishes housed in it. Water it holds is subject to very variable conditions which bring about rapid changes. Fish keeping in such water requires a good deal of careful management which is perhaps more important. 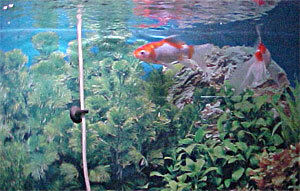 An aquarium must be so set as to simulate the natural surroundings of fish as far as possible. It is therefore, to give natural touch to aquarium, the equipments to regulate the ph, oxygen, temp., water quality are required. Maximum size of fish should not be more than 3". Quality of water should be good. Fish species should be omnivorous. Fish species should be attractive and fascinating. Small and social fish are ideal. Small fish in group of 2 male and 6 females are very suitable. Fish species are easy to breed. Fish species should be freely and easily available. Fish species should be hard. 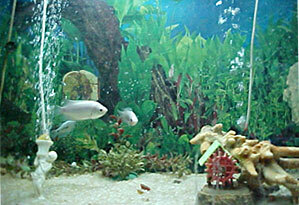 Small aquarium house is available at Aquaculture Research And Training Institute, Hisar. Big Aquarium house in collaboration with HUDA is under construction at Millennium Park Sector 29 Gurgaon. Department provides Technical and Financial Assistance for establishing Ornamental fish hatchery.